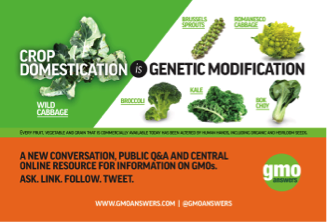 What is the difference between a GMO and a product produced with genetic engineering? We got a mustard that says its a product produced with genetic engineering but non of the ingredients listed are GMOs. We are proGMO, just curious! Expert response from Robert Wager M.Sc. 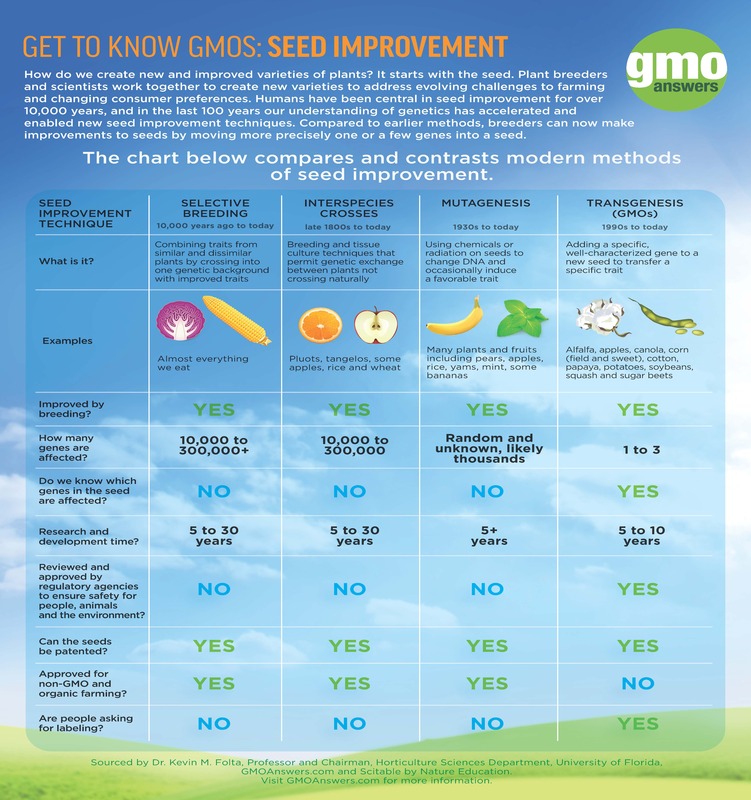 The broad scientific definition of a GMO is any organism that has had its genome (DNA) modified. This of course includes virtually all food crops as domestication or breeding is, by its very nature, the modification of the genome of that crop. There are very few foods that have not been genetically modified by humans: wild fish, game, berries and mushrooms. Some “traditional” forms of breeding cause massive changes to the DNA. Examples include ionizing radiation mutagenesis or chemical mutagenesis that randomly change the DNA. There are thousands of commercial food crops made with these methods. Although thousands of changes to the DNA occur with these traditional breeding methods, there is zero testing to determine the full extent of the DNA changes and virtually no safety testing of crops bred using these traditional methods. Now in today’s public arenas “GMO” refers to food crops that have had changes to their DNA using recombinant DNA techniques. A better term is genetically engineered (GE) as the specific DNA changes are carried out using recombinant DNA technologies. So with this definition most herbicide tolerant canola are GMOs but the oil from this GE crop is a product of genetic engineering. The oil itself is not a GMO. The same would apply to sugar, vitamins, starch and other derived compounds that might become ingredients in food. They are all products of genetic engineering but none are genetically modified organisms. Sometimes the entire crop is processed whole into foods. For example the new GE potato on the market has been engineered to be blight resistant, has reduced bruising and lower levels of acrylamide. If you eat French fries made from whole GE potatoes you are consuming a GMO though scientists would call it a GE product. 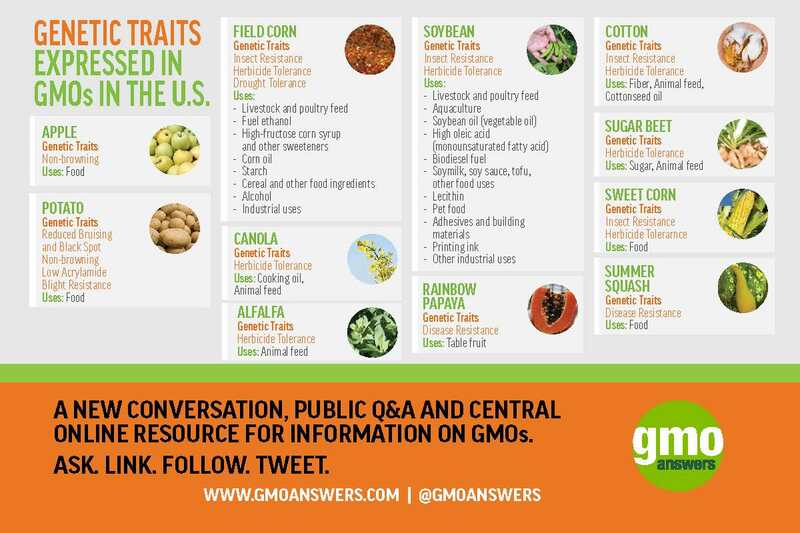 These are genetically engineered crops (aka GMOs) presently on the market: canola, corn, soy, sugar beets, alfalfa, papaya, cotton, eggplant, potato, apple and squash. There are many more in advanced stages of development around the world including the first GE animal food product. GE salmon will soon reach the U.S. market. In this case the GE salmon would correctly be referred to as a GMO. As for your question about the mustard I suspect one of the oils or soy products is derived from a GE crop. GE Mustard itself (related to canola) is soon to go into field trials in India. If You Could Use Biotech To Solve Any Problem, What Would It Be?